Whether you’re looking to upgrade an Android device forsaken by its manufacturer or you just want more control over the phone or tablet you own, a new ROM is often the way to go. Rooting your phone is the first step, but a new ROM will give you a completely new mobile OS. This week we’re going to look at five of the best Android ROMs. It’s important to note that not every ROM is available for every device, and different ROMs are aimed at different audiences — some of them are designed to upgrade the OS, and others are lean and mean installs to speed up your phone. Whichever you choose, you’ll have to make sure your device is supported by the developers behind the ROM before installing. 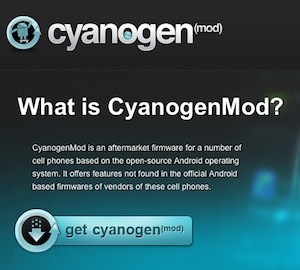 CyanogenMod is arguably one of the most installed Android ROMs in the world. It offers lots of great features, it’s available for more devices than most other ROMs of its type, and it has a level of polish and support that makes it easy to fall in love with. There are builds of CyanogenMod for Android phones and tablets, and slowly but surely the developers behind CyanogenMod are rolling out Ice Cream Sandwich versions for devices whose manufacturers have given up on upgrading the device entirely. As well, CyanogenMod includes features you won’t find in stock Android, like support for OpenVPN and downloadable themes, plus more privacy tools. You can find a list ofsupported devices here. 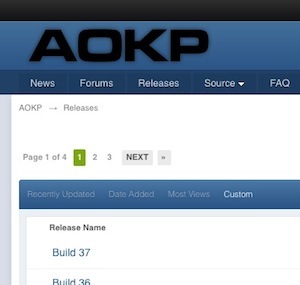 The Android Open Kang Project (AOKP) is a relative newcomer compared to many of the other popular ROMs already available, but it’s rapidly growing in popularity. It offers many of the features that CyanogenMod does, and at first blush you may mistake one for the other. But as soon as you start looking at the options and add-ons, you’ll see the differences. AOKP has earned high marks for add-ons and tools that you can’t get in CM, centralised control over ROM options and more overall customisation options than CM. At the same time, its development community is smaller, and it may not have the same polish and device support that CyanogenMod has. Still, it’s super-fast, it’s stable and definitely worth a look. You can find a list of all supported devices here. MIUI struck us with how beautiful the user interface was and how elegant it made Android look and feel. It’s not the most feature-packed or hackable ROM, but it’s definitely one of the most customisable and elegant, and it’s seriously fast. 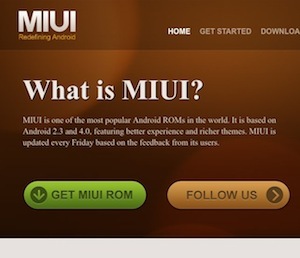 MIUI started life as a modded version of Android localised in China, but fans of the mod have since localised it for dozens of languages and countries. It offers strong theme support, beautiful stock apps, customisable lockscreens, support for GApps and complete root access. You’re not going to get a wealth of niche features here, but you will get a device that’s much easier and more fun to use once you install MIUI. You can find a list of supported devices here. If you have a Galaxy Nexus, Nexus S, Samsung Galaxy S or Galaxy S II, Slim ICS may be the ROM for you. Not only will Slim ICS bring your device up to Ice Cream Sandwich, it’s also a super-thin, lightweight installation that’s remarkably easy to install, even though it’s clearly aimed at advanced users. Slim ICS already has GApps rolled in, so you don’t need to install those later. Where other ROMs try to add lots of new features and tweaking options, Slim ICS is designed to trim the fat down to the bare essentials and give you a fast and clean ICS installation. It’s only available for a handful of Samsung devices, and there’s pretty much one developer and a few beta testers behind the scenes, so don’t expect too many feature additions or new devices. However, it is updated weekly and sports a good number of third-party mods. 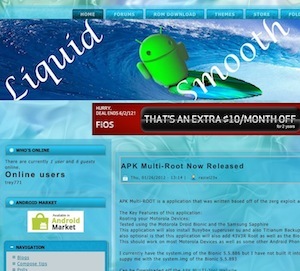 Liquid Smooth ROMS are available for multiple devices. While the project started off with the Motorola Droid, Droid 2, Droid X, Droid Incredible and HTC Thunderbolt, it’s also available for the Galaxy Nexus and a few other devices, although you’ll have to poke around the forums a bit to find them. The banner feature of Liquid is that it’s probably one of the fastest ICS ROMs available — faster even than the stock install that comes on the Galaxy Nexus. You don’t sacrifice features for the speed, but the overall size of the ROM is still nice and small, leaving more space for the apps and features you choose to use as opposed to ones forced on you. GApps are baked right in, and the ROM offers theme support so you can customise it to your liking. All in all, if you have a supported device, it’s probably the leanest, meanest ICS ROM you can download. No honourable mentions this week, but there are well over 60 different ROMs out there, so whatever ROM you settle on, make sure it’s a good match for the features you’re looking for, the device you own and the version of Android you want to run. These may be our top five, but they may not be the best for your specific device, so do your homework!